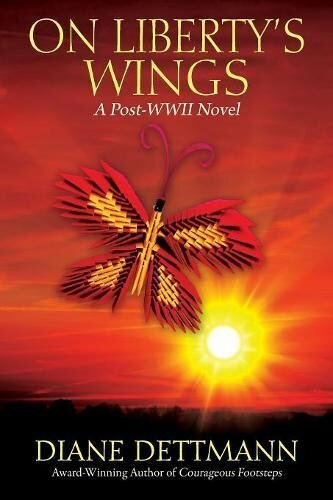 “On Liberty’s Wings” by Diane Dettmann is a heartfelt story about the struggles and prejudice that Japanese individuals experienced after World War II in America. Many of these families, including Yasu Nakahara’s, found it hard to gain employment and adapt to the American lifestyle, and were treated daily with negative comments. Many families were interred in an internment camp in California during the war with daily beatings, armed guards and barbwire fences. Young men were taken to serve in the military never to be seen again. Yasu begins her first teaching job, and her new husband is getting his engineering degree to help with finances. Yasu’s father develops a lung disease, and they have to move to a one story house while dealing with prejudice in many areas of their life. This read portrays how Japanese families show kindness, respect, hard work toward their family and others they encounter, regardless of race or religion. It is a reminder to all that everyone has their battles, and we should always show basic respect for everyone. I also find that it encourages us to work hard, be responsible and regardless some will always show prejudice. Dettmann invites readers into a family that has faced many hardships, yet still maintains love and honor to elderly family members. Her writing shows a true knowledge of a close-knit family that believes that regardless of internment they have a choice as to whether they remain a victim or a survivor. Reading “On Liberty’s Wings” by Diane Dettmann gave me a calmness I haven’t felt in a while. There was no extreme violence or sexual connotations, which is a great reprieve. The author mentions some events that occur in the internment camp, but that is not the main focus. I felt connected to the family and their quest to live a better life regardless of the amount of money they did or did not have. The third book in the series, “On Liberty’s Wings” can be read as a stand-alone read.